Chiropractors have always said: chiropractic for more than just back pain. This is because the profession was founded on treating all forms of illness and disease, just like the profession of osteopathy. Today Osteopaths are more similar to medical doctors than chiropractors but that is not how they started. The osteopath profession was founded in 1874 on the basis that the body had the ability to heal itself and osteopaths would treat the musculoskeletal system to help the body function better in healing itself. The founder of osteopathy imagined that someday “rational medical therapy” would consist of manipulation of the musculoskeletal system, surgery, and very sparingly used drugs. Sounds a heck of a lot like chiropractic. I mention the history of osteopathy because it got started 21 years before chiropractic did and in their early history osteopaths practiced more like chiropractors than osteopaths. The osteopathic profession has more detailed records on their successes in treating all manners of illness an disease in the late 19th and early 20th century’s than chiropractic. By their record, and the few chiropractic records that exist, manipulation of the musculoskeletal system was quite effective at treating illness and disease. So much so that when the 1918 Spanish Flu Pandemic spread across the US, records from osteopathic hospitals show osteopaths were more successful in treating patients with Spanish Flu than the medical doctors of the day. There are some anecdotal evidence I have come across that indicates chiropractors had similar successes but our profession was not as well organized as osteopaths were at that time and actual records are hard, if not impossible, to come by to measure this. Osteopaths who value their past have actually written papers that support the use of manipulation in treating avian influenza based on their success in 1918. All this about osteopaths because what we do as chiropractors is very similar to osteopathic manipulation. Therefore it is not too far outside the realm of possibility that chiropractic care can help improve your health and body function. Additionally, though, there is sufficient evidence that shows a direct connection between adjusting the spine and body function. There is a direct connection in the nervous system from the nerves that innervate the joints in the spine to the spinal cord and up to the brain even to the area that controls immune function. 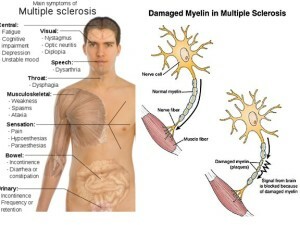 This is a complex connection which is supported by looking into neuroanatomy and neurophysiology texts and research papers. Unfortunately I cannot directly link you to one, or even three, articles that support this connection. It is there, though. One other thing I can mention is that the loss of the normal curves in our spine can have an affect on our health and physical functioning, not just pain. A 2009 paper found that loss of the cervical curve can cause spinal cord atrophy. A 2005 study found that a loss of the cervical curve causes demyelination and nerve loss in the spinal cord. 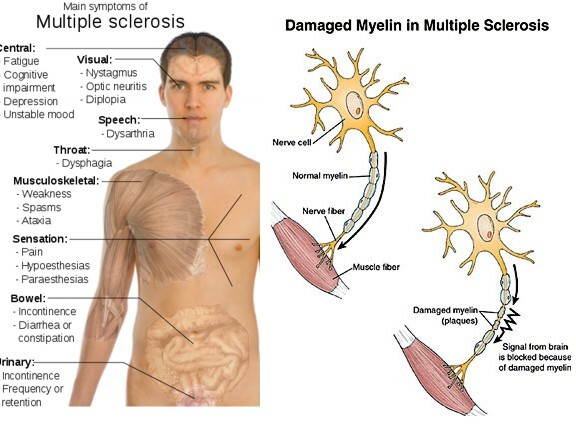 Multiple sclerosis is an example of a demyelination disease. These studies, and others, use a test called somatosensory evoked potential (SSEP) to measure the nervous system function. The SSEP is basically a test of how well the brain communicates with the body. This test is also used during many brain and spine surgeries to ensure the nervous system is functioning properly during the surgery. Some very recent studies have found that by adjusting the spine we see an improvement in the SSEP measurement. This means that by adjusting the spine we can positively improve nervous system function and subsequently improve the way your body functions. A very recent study, going on right now, has released preliminary data that shows by improving the curve of your neck we can improve the SSEP up to three months after care ends. I cannot link the results to this study as it is not published yet and these preliminary findings were discussed at a recent spine research conference which has not released it’s summary yet. Lastly I want to cove this 2016 study which found that a loss of the neck curve decreases blood flow through the vertebral artery to the brain. Blood loss to the brain has a terrible effect on the way we function, it can even result in death. The same authors who are researching improving SSEP by improving the neck curve are currently studying what happens to vertebral artery blood flow when they improve the neck curve. If this study yields similar results to the others, it will be one more that shows our care has far greater implication on your health and physical function than just eliminating back pain. I don’t want to imply that treating back pain is not important, back pain can be debilitating. 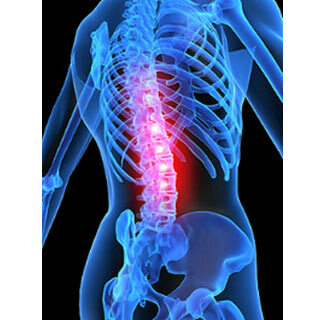 In some extreme cases of chronic back pain patients may not be able to live a normal life due to severe pain. I have heard of some people who have taken their own life due to severe back pain which was unrelenting. As chiropractors we do very well with treating back pain, so much so that it is what most people think of when they think of chiropractic. The purpose of this post is to show that chiropractic is much more than that. Our profession was founded to treat illness and disease and has a rich history, along with the osteopath profession, of being successful at that. Beyond that there is a direct connection between the spine and brain function through the spinal cord and nervous system. Research today has been able to show chiropractic care, and especially our brand of care that include improving posture, can have a significant impact on the way your nervous system function. If your nervous system functions better your body is better able to function. I hope this helps to inform you that chiropractic is for more than just back pain.